According to statistics from the United States Center for Disease Control, motor vehicle accidents are the second leading cause of unintentional injury-related deaths. If you suffered a severe injury or someone you love was killed because of the carelessness or intoxication of another driver, Gary A. Zucker and his team are here to ensure the negligent parties are held responsible. In these cases, we recommend speaking with an attorney as soon as possible (before speaking with insurance representatives), since mistakes in your insurance claim can lead to an unnecessary loss of compensation. The consumer products we purchase are expected to be safe for use. Unfortunately, they sometimes fall short of this promise. Product liability laws are in place to provide protection and a means for restitution when consumer trust is violated and a user suffers an injury or loss as the result. If you were the victim of a defective product, the experienced legal team at Zucker & Regev can help you navigate this complex area of law. We will seek to hold the liable parties responsible for their actions and secure restitution on your behalf. Construction sites often have a large number of individuals working around heavy machines, elevated platforms, or high-voltage equipment, so there must be careful measures in place to avoid an injury or death. If you suffered severe head trauma, electrical burns, or another significant injury on a construction site by no fault of your own, we are here to help ensure your rights are protected. Practicing law in Brooklyn since he opened his practice there in 1984, Mr. Zucker has a well-established reputation of representing victims and their families. Slip and fall injuries are one of the leading causes of emergency room visits and injury-related deaths in the United States. Falls can occur because of a hazard (such as liquid spilled on the floor), a broken staircase railing, or inadequate lighting and result in severe injuries, including spinal cord injuries, a shattered pelvic or hip bone, or head and brain trauma. If you or a loved one has been the victim of a serious slip and fall, speak with a member of our team before making a statement to insurance representatives. Commercial and personal property owners must ensure that their premises are safe for visitors. When an individual is injured by a slip and fall, an animal attack, or another type of accident while on another party's property, he or she may be entitled to compensation. The property owner or manager can be held liable if he or she knew about a hazardous condition and did not correct it or provide warnings. This principle can apply even in cases of criminal attacks in a dimly lit parking structure. 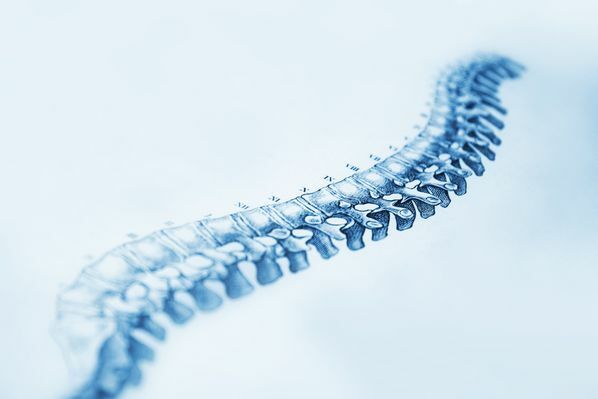 A spinal cord injury can have lifelong physical, financial, and emotional repercussions. With expenses ranging from the initial cost of medical care to substantial home modifications, Gary Zucker and his team can offer the compassionate legal services you need to secure the compensation you deserve.